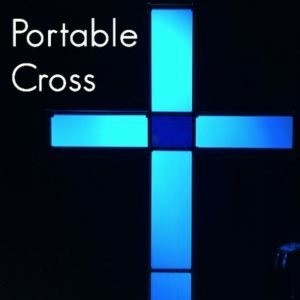 Here to help you integrate the powerful and cost effective method of Environmental Projection that transforms your worship space into something other than four walls of building. A design and integration company that specializes in church redesign and new church plant projects. Their passion is to create the best experience and worship environment and to enable churches to reach their potential and equip them to move forward into their future with the tools and facilites they are proud of. Your source for church printing. They print church banners, displays, indoor and outdoor signs. From inside your sanctuary to outside in the church parking lot, they’ve got a huge selection of church banner designs for you to personalize free of charge. They print banners in many different sizes and for each season of the year. Creates fabric structures, environments, projection screens, truss covers, backdrop design, trade show solutions, DJ scrim. 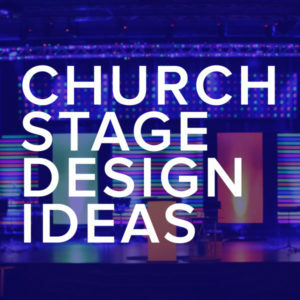 A great resource for building sets for your Worship Experience. Scenic sets and stage design ideas from churches around the globe from our friend Jonathan Malm. 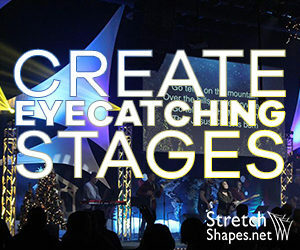 Jonathan is a contributor to our blog as well, and on this site, he curates the best stages from churches of all sizes. Search recommended resources, by category, by organized lists and more.